They say revenge is sweet, and tomorrow, one team or the other will likely get a chance to taste it. Will it be Amauri, who, despite being a complete Matri (read: epic fail) at Juve, has since drawn blood against Milan at his subsequent clubs in the most painful of ways? 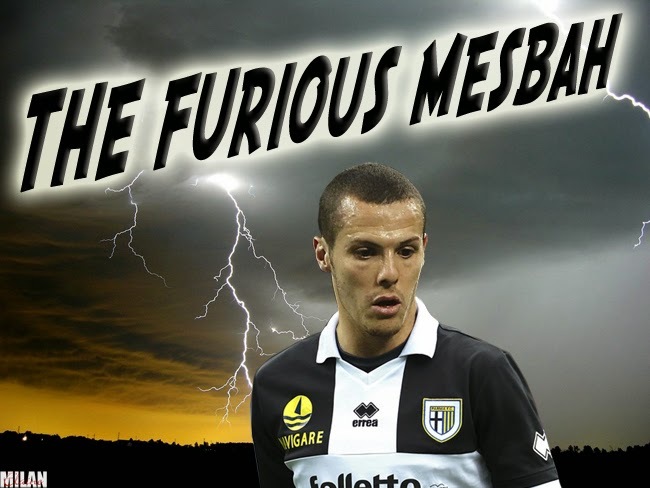 Or will it be the legendary Mesbah, of Milan transfer abuse fame, who already has a goal in just one start and one sub this season? Or maybe will it be our favorite Nutella-loving ex, Cassano, who would like to repay our kindness when he nearly died by taking all three points tomorrow? Perhaps the revenge will belong to more than one person, like one or more of these players and also the former Milan player Donadoni, whom Milan have snubbed for a coaching position in favor of the tactically vapid Allegri. Or will the sweet revenge belong to Milan, despite the fact that our players could barely tie their own shoes for the first 8 weeks of the season? Parma are currently in 13th place on the table, and most recently lost to Verona last weekend. They have struggled so far this season, with a record of 2 wins, 3 draws, and 3 losses. So they would love nothing more than to grab three points at home from a Milan side that is still weak and missing some key players to injuries. The squad that Donadoni lined up against Verona was Bajza; Cassani, Lucarelli, Felipe; Parolo, Gobbi, Acquah, Marchionni, Rosi; Amauri, and Cassano. Despite Parma players tallying up seven yellow cards in the game at the Bentagodi, Donadoni apparently does not have any players suspended. He is without Paletta, Okaka, and Galoppa, however, to injuries. Milan will be without Philippe Mexes for the second league match of his 4 game suspension, so it would be safe to guess that Silvestre will play in his place again. Last I heard, De Sciglio was training and fighting for fitness for this match, but even still, Allegri doesn’t often start players coming back from injury like that. So probably the typical back four aside from Silvestre. And in the midfield, Montolivo and De Jong undoubtedly, with either Sulley “The Killer” Muntari as Allegri’s favorite scoring threat and purveyor of deadly tackles, or maybe public opinion (and fantastic performances) will have won Allegri over and we’ll see Poli. There is always room for Allegri to surprise us. In attack, one has to wonder. Everyone has been saying we are switching back to a 4-3-3 after the Barcelona success midweek, which is probably about 9 games too late in the season, but better late than never. Rumor has it that Allegri tested a forward three of Niang, Balotelli, and Robinho in training yesterday, and I would not mind seeing this at all tomorrow. I wouldn’t mind seeing that Kaka we saw on Tuesday, either. Or the Slovenian number ten. In fact, anything not to have to drink an “Allegri Smile” … I would sooner like to see Zaccardo up front than Allegri’s favorite ex-Juve player. And while I patiently await the return of il Faraone and Pazzo, I think that front three could help ease my pain and also punish Parma. It is always more fun to punish than to be punished, especially when it comes to the -exes. I thought Cassano had chosen Parma for all of its great food, but he seems to be fit and in form (clearly someone hid all of the Nutella), so we’ll have to settle that one on the pitch. Mesbah is less likely to play, but if he does, I’d expect a career-topping performance, so I hope he doesn’t hurt us, either. 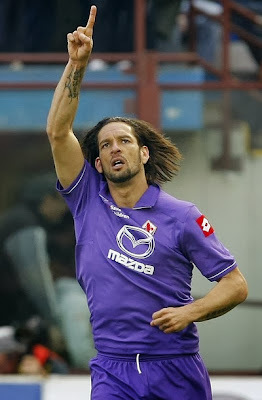 Amauri is so painfully terrible a player, yet seems to have found his fountain of goals at Parma, so let’s pray to the Gods of Football that the true Amauri shows up instead. And Donadoni, I know you were Milan, but now you are the enemy. We can’t show you any favors, but I’d be happy to buy you a jar of Nutella to console you if Parma lose. Milan need this win to keep confidence up and to stay in the top half of the table and fight back for a respectable finish this season. So please, Milan let’s get 3 points away, and don’t let that ungrateful Nutella-loving wretch (or anyone else from Parma) get any Nutella revenge. This post inspired by the silky smooth, sweet, chocolaty hazelnut heaven that is Nutella... mmmm….. 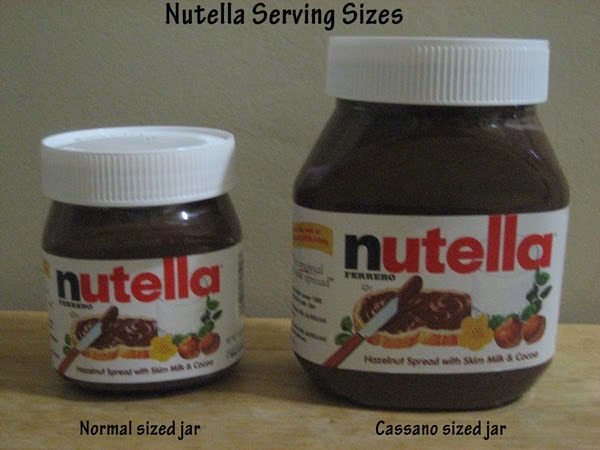 Note: Only one normal-sized jar of Nutella gave its life for this preview. No other jars were harmed in the writing of this post.